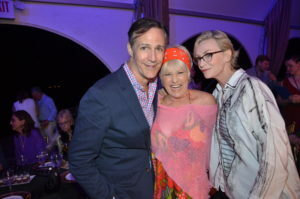 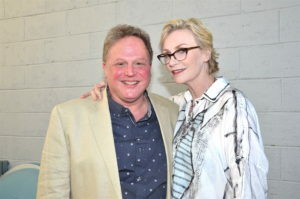 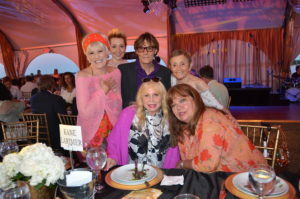 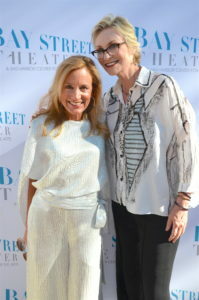 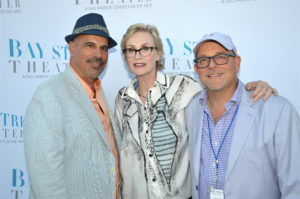 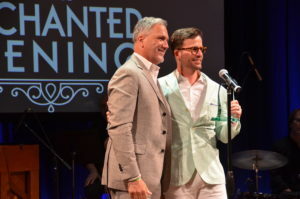 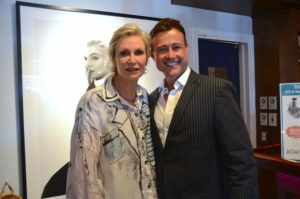 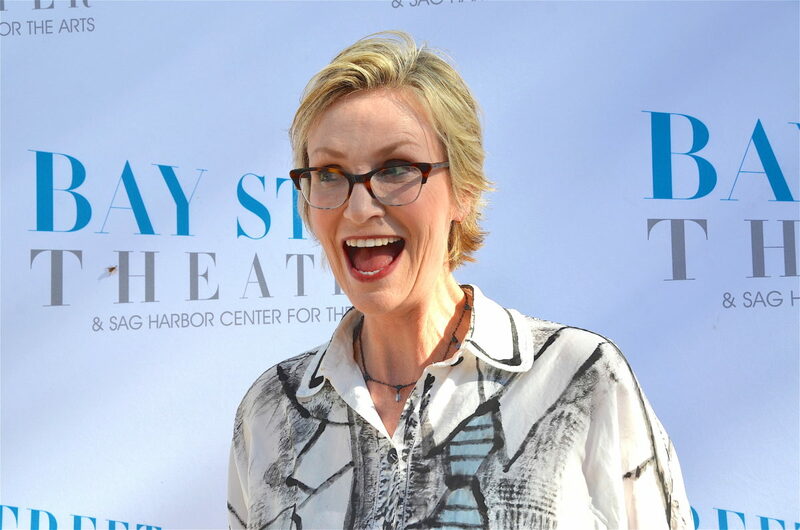 July 8, 2018: Jane Lynch, the Emmy Award winning television star, emceed Bay Street Theater’s star-studded concert that was part of their Annual Summer Gala, the last on the Long Wharf in Sag Harbor due to future renovations at the site. 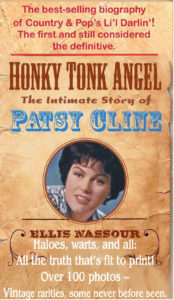 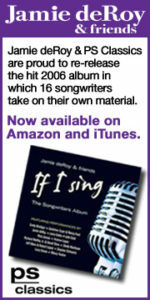 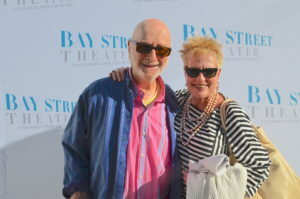 The concert in the Theater preceded the festivities under a tent that began around sunset on a glorious evening. 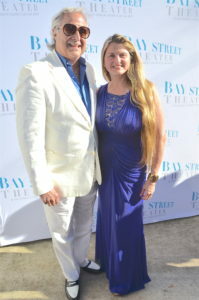 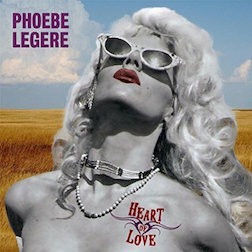 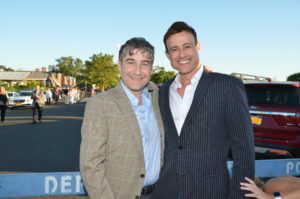 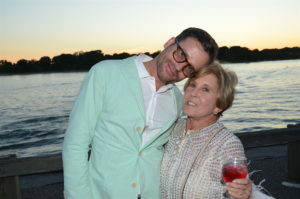 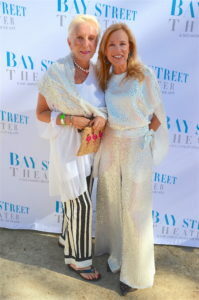 The evening benefited Bay Street Theater & Sag Harbor Center for the Arts’ educational and theatrical programs. 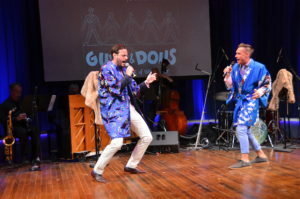 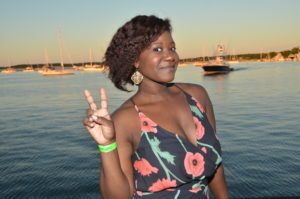 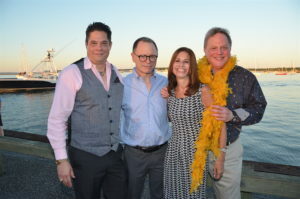 After the concert, festivities on the Wharf included a cocktail party, a silent auction and a live auction with celebrity auctioneer Richard Kind, followed by dinner and dancing. 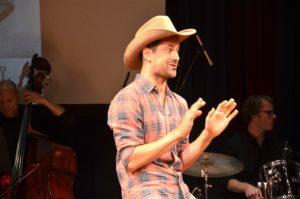 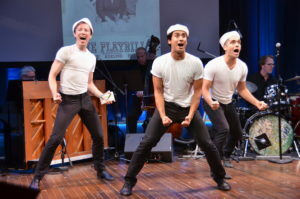 The Concert, A Celebration of the Golden Age of Broadway, featured songs from some of Broadway’s most beloved musicals including South Pacific, West Side Story, On The Town, and Carousel, and was written by the award-winning playwright Jonathan Tolins. 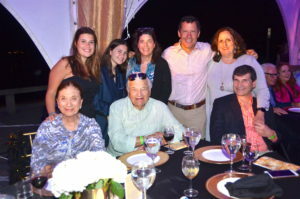 The evening’s auction items included a week at the beach in St. Barth’s for 4 at a luxury 2- bedroom WIMCO villa, complete with unparalleled concierge service, and roundtrip flights to the island from San Juan on private Tradewind Aviation carrier. 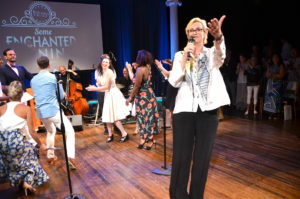 Other items include an 8-day cruise on Viking Cruises for 2, and a walk on role in EVITA with dinner for 8 guests at The American Hotel. 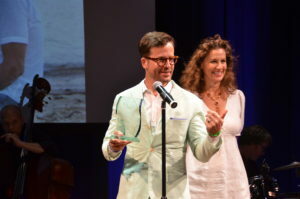 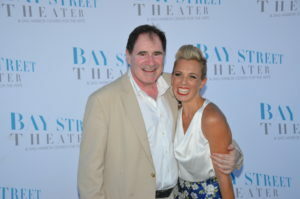 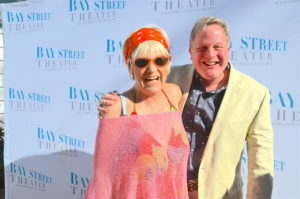 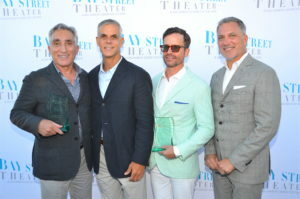 This year Bay Street Theater honored Sag Harbor businesses as a thank you for supporting the Gala for the past 27 years, with most of them taking place on the Long Wharf. 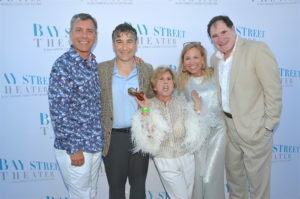 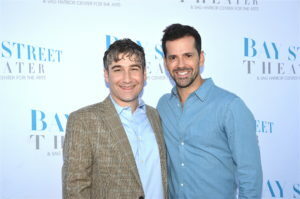 Bay Street Theater also honored Board Members Luigi Caiola and Erik Batt.